I’m going to cheat and post twice about this place. As a self-confessed plant lady, The Grounds of Alexandria was a special kind of happy place. Exposed brick, fairy lights, a veggie patch, magnolias and fiddle leaf figs, the frame of a glasshouse, a pig named Kevin Bacon and food?! Mind. Blown. If it was possible to get even more excited about visiting here, it happened when I discovered the bakery section. Wow. I wanted pretty much everything. Having just eaten lunch, that wasn’t possible. But, one cake was. Only one. I chose strategically. Having never tried a pistachio cake before, or seen one offered anywhere else, I took a deep breath and ordered. Oh my. What a choice! 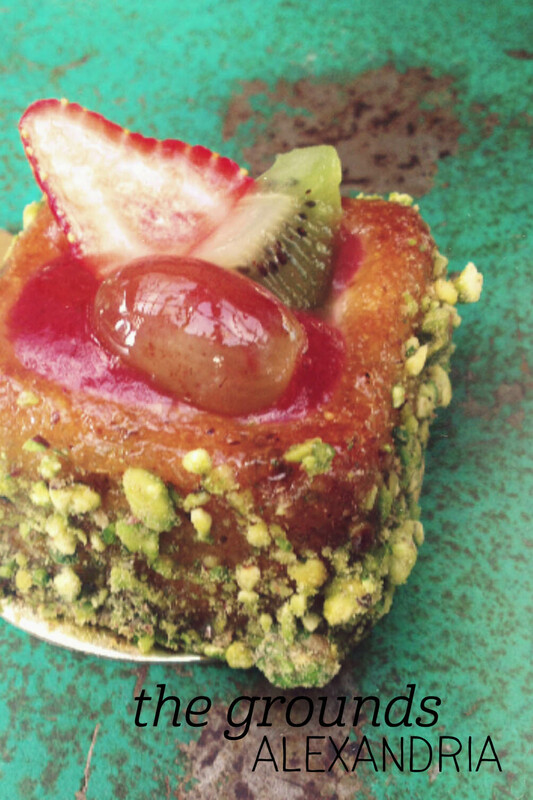 The pistachio was crunchy and delicious, but the real secret delight of this cake was the oozy strawberry syrup in the middle, which turned what could have been a dry cake into a mouthful of bliss. Definitely a good choice. Now, to find a way to go back and eat everything else! Confession: I am a crazy plant lady. So when I heard about a botanical themed restaurant I was, let’s say, pretty darn excited. 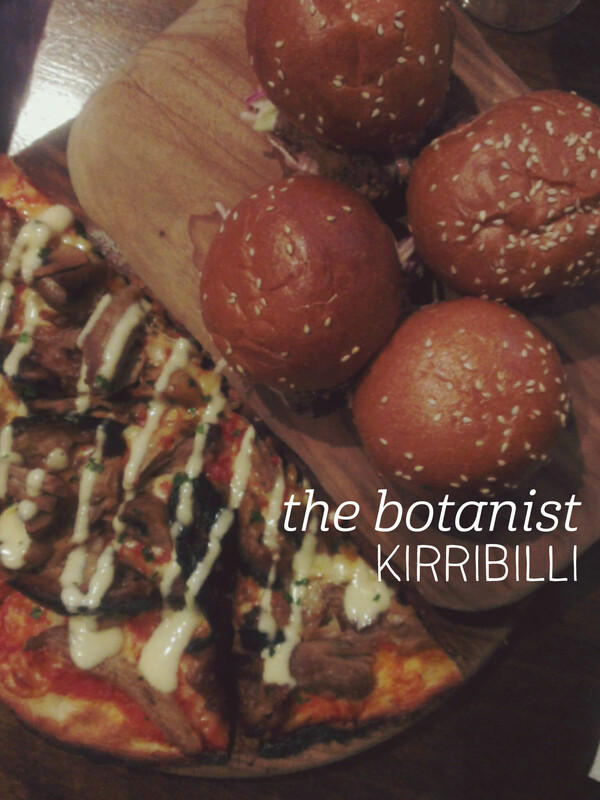 This was in fact my second visit to The Botanist in Kirribilli, which is a corner restaurant of happiness. Everything here just works – from the yellow-green feature wall to the Don Julio tequila bottles converted into water jugs to the creative cocktail collection. I came for the theme and stayed for the food. On this occassion, Dad and I shared our favourite, the sliders (2 beef, 2 chicken, with the chicken being the best-til-last), and tried something new, the pulled pork pizza. The favourites didn’t let us down, and the new choice has now become a favourite. The sliders are generously sized compared to many places, and the beef is thick and flavoursome. The southern-style chicken in the other slider is dreamily good, and I when I couldn’t finish my slice of pizza with perfectly pulled pork and soft creamy eggplant, I did a happy dance inside when a takeaway container was ok. These guys have the trifecta – good food, tasteful decor and excellent service. Oh, and plants. Win. My uncle is an artist who regularly makes the final of the Archibald Prize, but I’d never been to the exhibition before. On this trip to Sydney, the exhibition had just opened, so I made my way through the city to the Art Gallery of NSW to check it out. Looking at incredible portraits is hungry work, so after making my way through the exhibition, I stopped in at the Gallery cafe. 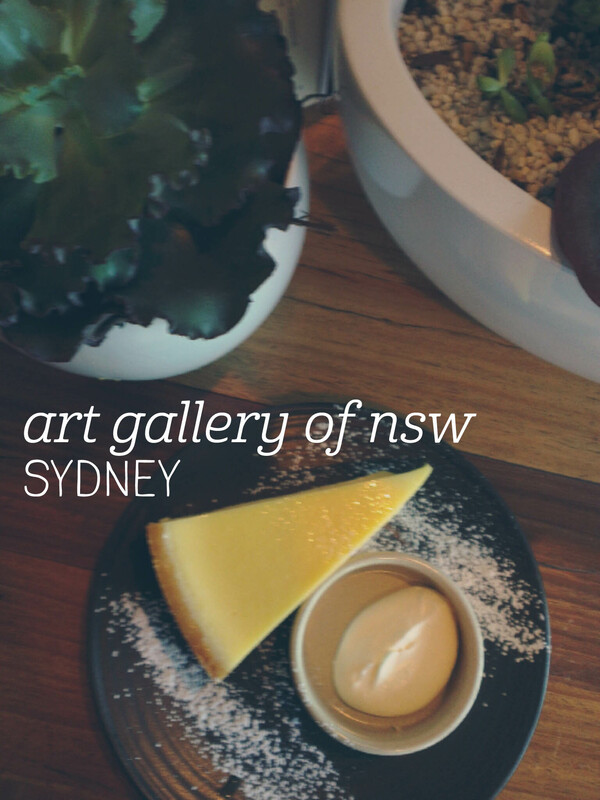 I have a soft spot for gallery cafes. Yes, they are usually overpriced and generally don’t have great service, but they’re such nice places to sit and eat. This was no exception, although to be fair the service was actually pretty good. I ordered a slice of lemon tart when the scones were sold out, and found a spot amid the long tables dotted with succulents. Any place with that many succulents is a-ok in my books. The lemon tart was suitably lemony and rich and the slice was more than enough for one. But for me the experience was more about sitting in a lovely cafe, people watching and resting my legs after the long afternoon of walking. On a recent sojourn to Sydney, I was told that Bourke St Bakery was a must visit, and who am I to argue when there’s cake involved? In a long held tradition, Dad and I went out to lunch with our chiropractor/old family friend in Neutral Bay, and when I realised this was an option it was decided! The entrance is heralded by a sandwich board and cute bicycle leaned against the wall. This boded well. I was a bit dismayed at the high savoury-to-sweet ratio, but that was foolish – I thoroughly devoured my cauliflour and celeriac soup, served with a chunk of the best seed bread I’ve ever had. Nutritional balance satisfied, it was finally cake time. After much deliberation, I went for the strawberry meringue tart, which was absolutely a winner. If you think the strawberries on top are it, get ready for awesomeness, as underneath the meringue was more strawberry goodness. 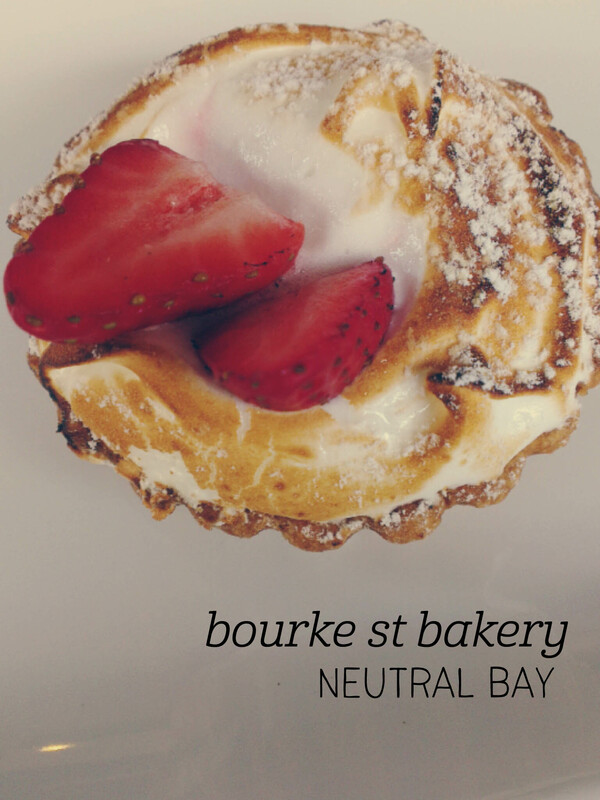 If #cometocanberra is a thing for restaurants, let’s bombard Bourke St Bakery with it. Please. When I read the concept for Chez Frederic on their website, I was already a convert – simple, good food without the frills, and, bonus, takeaway encouraged! Takeaway lamb shanks? Yes, please. So four of us went for dinner (dine in) after work and were delighted. 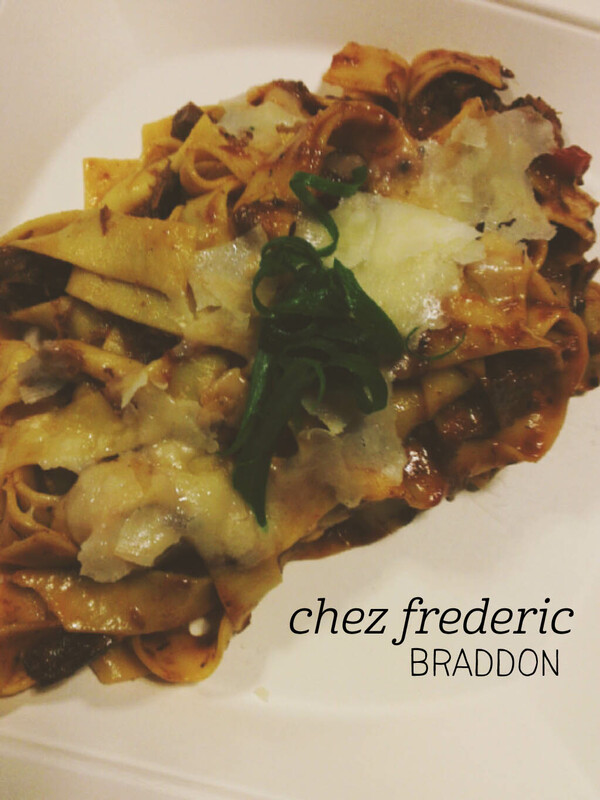 I chose from the extensive specials menu – hello pappardelle with lamb and beef ragu – and was so glad I did. 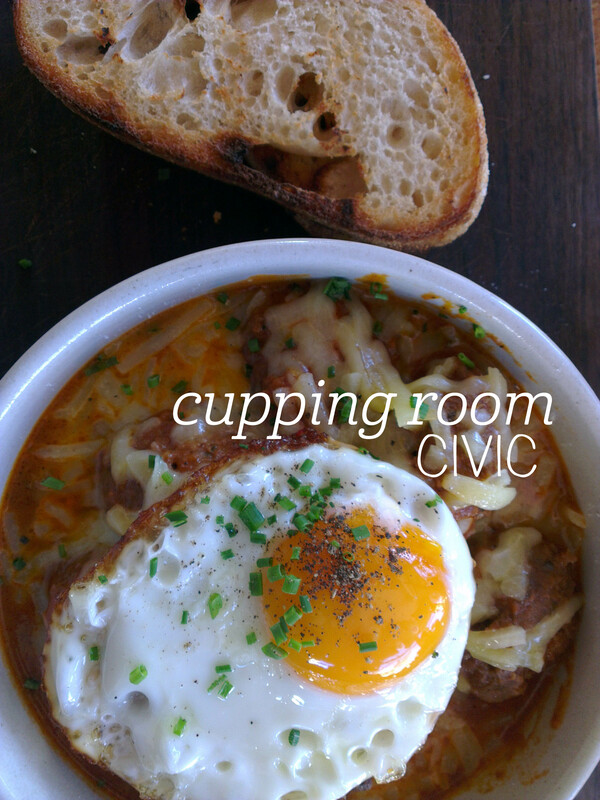 In the middle of winter, a hearty, filling meal like this is perfection. The staff were super friendly too – when we ordered dessert (the divine chocolate orange tart), they asked for our feedback, as it was new. My friend suggested adding some crunch to the top, and the chef was right on it – he promised toffee shards, and I would go back just for that. The minimalist decor manages to be on-trend industrial but without feeling cold, and the large tables are designed for sharing. I will be bringing visitors to Canberra here as an example of how this city gets food, service and ambience just right. Canberra’s suburban bar scene has been improving steadily over the past few years – and Rum Bar is a great addition to the inner south. A few of us went there after work on a weeknight for a quiet drink, and were met by the relaxed bar staff sitting around a table having a chat. It felt like we’d walked into someone’s (very well equipped) home bar, and one of the hosts had gone to pour us drinks. We opted for a Captain Morgan’s with coke and lime, and were rewarded with a silky smooth, well balanced drink. 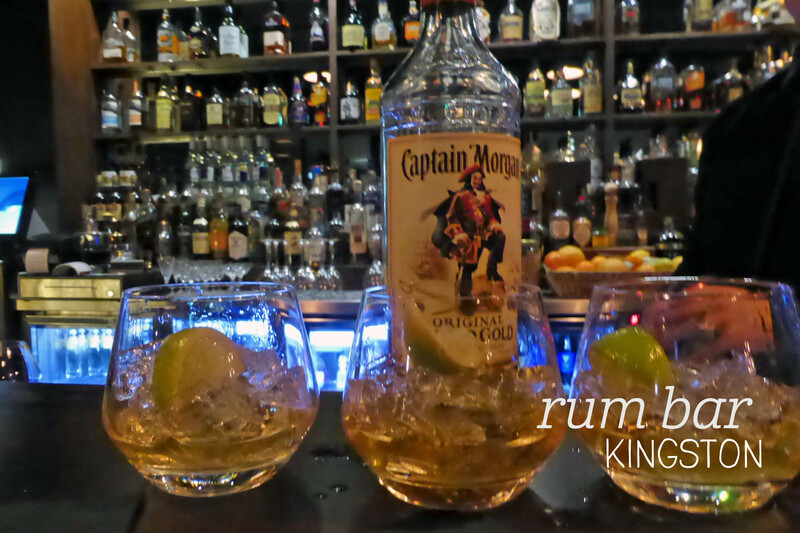 The relaxed atmosphere was exactly right, the service was warm and friendly, and as someone who rarely drinks rum, the drinks were excellent. Well worth a visit.